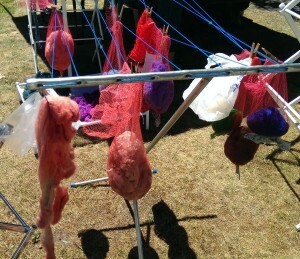 I found this to be a nifty idea: hanging smaller bits of fleece or roving to dry in up-cycled onion bags. 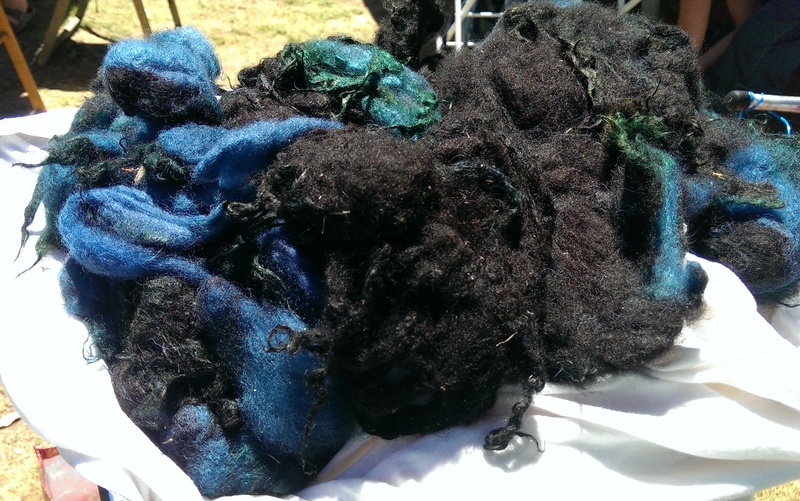 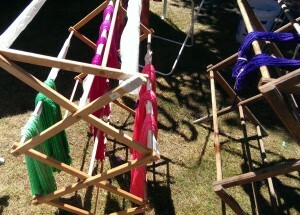 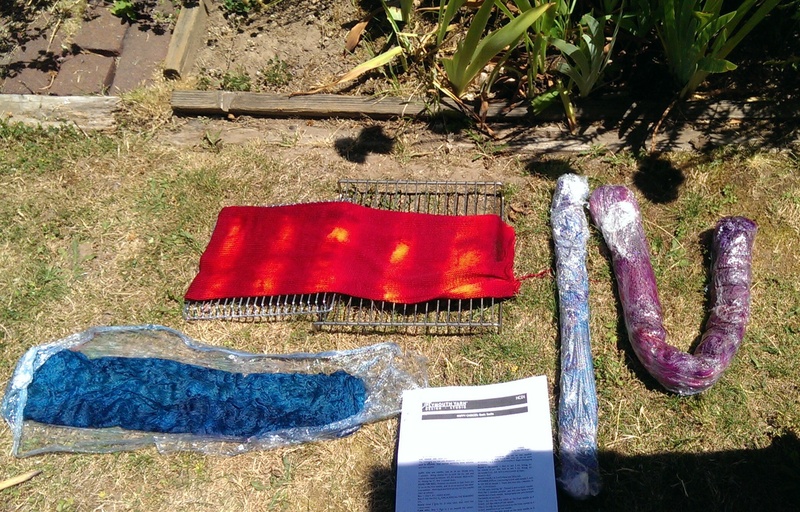 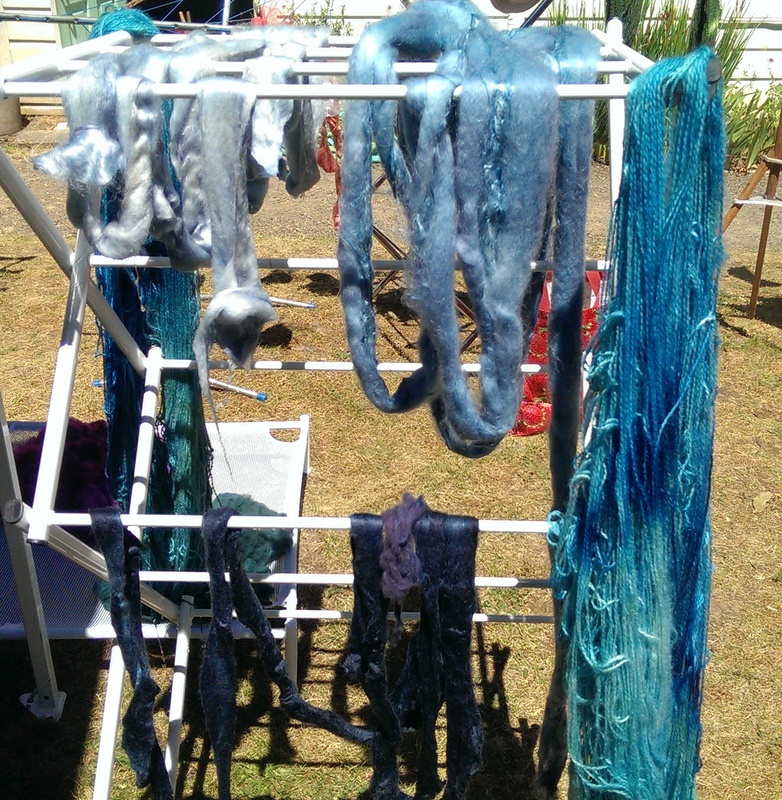 There was a demonstration of hand painted roving, using squeeze bottles to apply the dyes to fiber soaked in citric acid or vinegar, and wrapped in plastic to either sit in the sun or go into a steamer. The squeeze bottle recommendation is to source from beauty supply stores for better and more accurate dispensing. The tip on color placement is to keep the same order of color change all the way around the yarn or roving. There was a neat little seminar about spinning from hand painted roving. Chain, or Navajo plying was suggested as a way to maintain color order, which works especially well when doing an ombré effect. 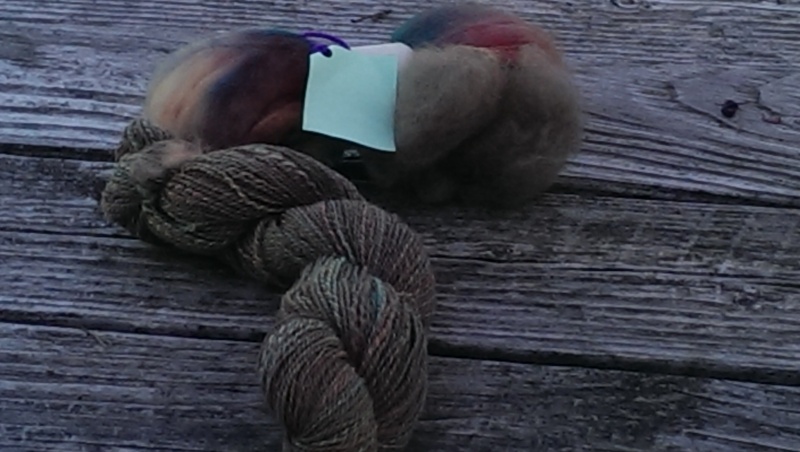 Fractal spinning was also suggested as a way to introduce color shifts when plying. 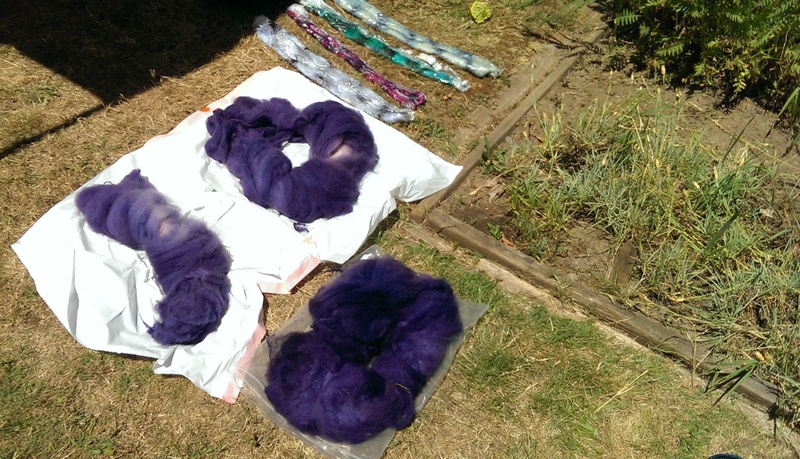 This Knittyspin article is great for explaining fractal spinning: Fractal Spinning. 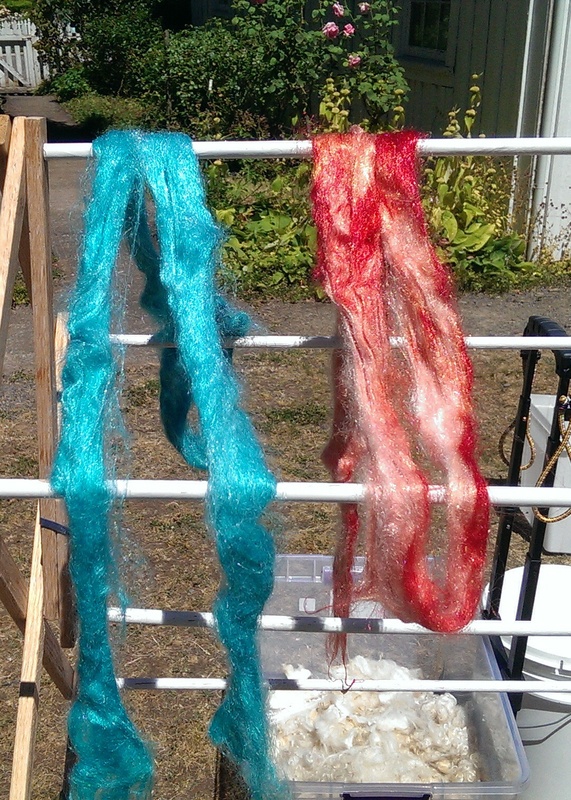 It’s always great to get a bunch of people together who share your excitement about fiber. 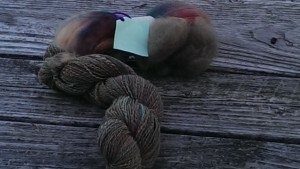 As soon as time permits, I’m going to try my hand at some hand painted roving and experiment with these spinning and plying techniques.